Previous weekly analysis mentioned about long unwinding and same continued last week. We have initiated aggressive long in NG which we are holding till close below 198. Now trend on monthly is up with upward trend line . While weekly up trend has changed to sideways. 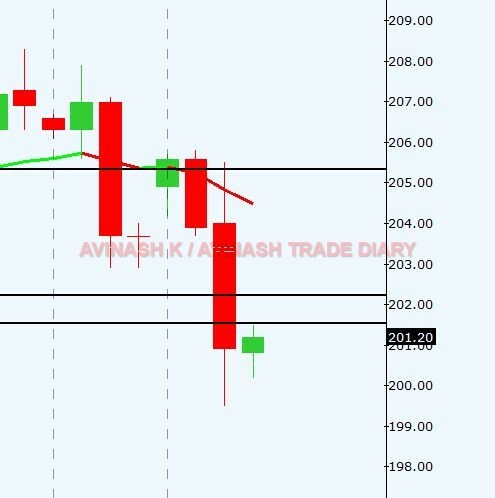 On daily now trend is sideways with sideways to down trend on 240 min, which is not supporting our long position. OI analysis suggestive of liquidation of long positions.